Undoubtedly, one of the key foundation for IoT infrastructure is the proliferation of MEMS sensors. They have become smaller, less power hungry, and more accurate in the recent years which has helped these particular types of sensors utilizing the MEMS technology to make significant inroads to expand the world of IoT and Smart City. Nowadays, bringing MEMS Sensor information to the IoT Cloud is a fundamental and challenging task. New ultra-low-power and high-efficiency radio are required to make our cities a smarter place to live. Pervasive Bluetooth Low Energy, Sub-1GHz and LPWAN wireless connectivity are among the key enablers. This presentation will provide an overview about how to unleash Sensor-to-Cloud connectivity to create a vast networking of sensorized IoT nodes, enriching our lives by making thigs 'smarter'. Mr. Noguchi is currently responsible for product marketing activity for STMicroelectronics’ AMG product portfolio in Japan. Products under his responsibility include MEMS sensors, analog products (including RF, touch controller IC and medical ASICs), and smart power products. After graduation from Stanford University with Master’s degree in Electrical Engineering (MSEE) in 1999, Mr. Noguchi joined Lucent Technologies Bell Laboratories. Major activities include development of the PON systems (predecessor to the current FTTH technology), and system deployment of MEMS based optical cross-connect system. 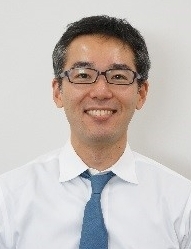 Mr. Noguchi joined STMicroelectronics in 2007 as a marketing engineer for MEMS motion sensors, focusing both on consumer and automotive market, supporting accounts and projects which helped the growth and expansion into new markets of the MEMS group. In 2011, Mr. Noguchi was assigned as a manager of a group with expanded product perimeter, including Analog and Audio, and other sensor related products. In 2015, he became a director of the group overseeing the marketing activity related to all of AMG product portfolio in Japan.